On June 25, 1975, Indira Gandhi declared a state of emergency in India that lasted for 21 months. The period saw widespread human rights violations, jailing of members of the Opposition and a clampdown on press freedom. 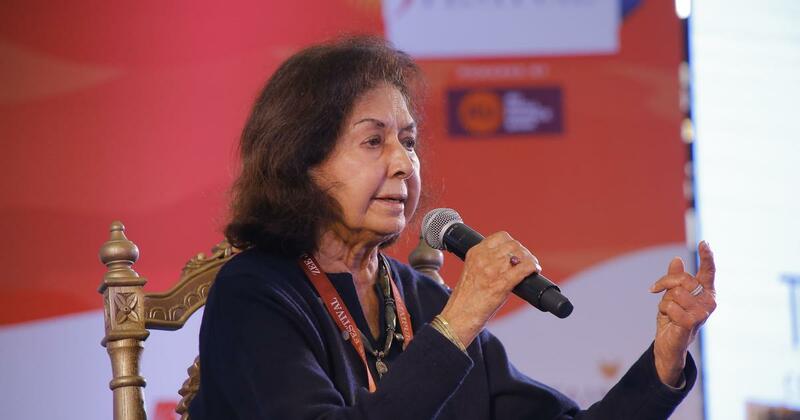 Forty three years later, journalist Ajoy Bose, author of a newly relaunched book on the Emergency, interviews Nayantara Sahgal, who wrote widely and critically about Indira Gandhi’s policies during the time. Four and a half decades after the Emergency, how do you remember it and what do you feel was its chief significance? Well to begin with, the chief significance of the Emergency was that we could not be complacent about our democracy. And that we had to be extremely alert to safeguard it. We also realised that we had taken our freedom of expression for granted and had enjoyed it even though, throughout the country, millions of people did not have the same protection against any kind of authoritarian rule or measures. So for me, the chief significance was that we needed an organisation to guard our civil liberties. Just after the Emergency, the Peoples Union for Civil Liberties was set up and I was associated with the founding of it and served as the vice-president of it for some years. The draconian powers that the state acquired during Emergency allowed it to unleash unprecedented repression including forced sterilisations and arbitrary demolitions of entire colonies of citizens, particularly those who were poor and marginalised. How would you characterise such a state that turned what used to be a democracy into a dictatorship overnight? Why was there so little mass resistance to this? First of all, I don’t think it happened overnight. I was writing political commentaries regularly for The Indian Express during those years of Mrs Gandhi’s reign in power and it was very clear to me that we were heading towards an authoritarian system. We already had the call for committed civil servants, committed judiciary and so on. And there was a bill drawn to curb the press. These things had been happening before the Emergency was declared so it came as no surprise to me at all. Now you speak of silence. I think one has to realise that there are millions of people who cannot speak because it would cost them their jobs, their livelihood, their safety, safety of their families. It was a draconian time and, you know, the whole Opposition was in jail and [also] those who could speak on behalf of those who could not. 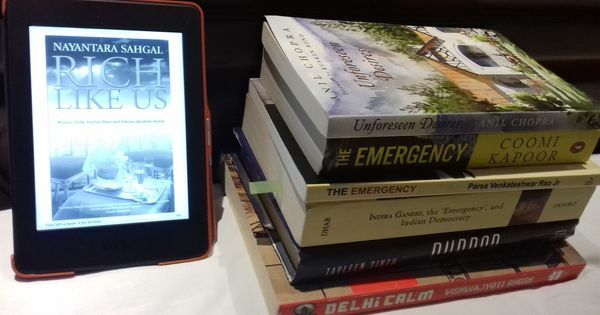 That is why I wrote a book on the Emergency period and Mrs Gandhi’s political style, which, of course, was not published during the Emergency but immediately after. Why have people started comparing the present situation in the country with the Emergency even though the current Modi regime came to power through a democratic election and some of the more infamous features of the Emergency like the large-scale arrests of political leaders and activists and press censorship are missing? What are the differences and similarities between then and now? Well, we have an undeclared Emergency, there is no doubt about that. We have seen a huge, massive attack on the freedom of expression. We have seen innocent, helpless Indians killed because they did not fit into the RSS’s view of India. We have seen known and unknown Indians murdered. Writers like Gauri Lankesh have been killed. And there has been no justice for the families of the wage earners who have lost their lives in this fashion. In fact they are now being called the accused. So we have a horrendous situation, a nightmare which is worse than the Emergency. During the Emergency we knew what the situation was. The Opposition was in jail, there was no freedom of speech, etc. Now we are living in a battered, bleeding democracy. And though no Emergency has been declared, people are being killed, people are being jailed; people are being hauled up for sedition and for being anti-national. It is an absolutely nightmarish situation which has no equal. This government is pretending to be democratic but we see what is happening all around. And nothing has come out of the government’s mouth to condemn all these goings on. So I rate it as a situation which has no equal in India. Two vulnerable communities, Dalits and Muslims, had to face great suffering during the Emergency and turned against the Congress because of this, despite being vote banks for the party. How come the same two communities are being targeted once again today although the political ideologies of the ruling establishment then and now are vastly different? I don’t think that is a correct assessment of the situation at all. I don’t understand what you mean by the Dalits being targeted during the Emergency. It is true that most of the people who were forcibly sterilised and whose houses were demolished were poor. After all you could not drag a rich man out of his house and demolish his house. So whether they were Dalits, Muslims or Hindus, it did not matter. After all, many Hindus too were sterilised. It was a lawless situation across the board when anybody could get caught and be sterilised. There was certainly a Muslim uprising in Turkman Gate, I remember. It went against Sanjay Gandhi in a very bad way. But I don’t think any particular community was targeted at all. I think Indians were targeted, especially those who were not able to defend themselves. So you feel that one difference between the Emergency and the situation today is that communities are being specifically targeted? Yes, because now the Muslim has been declared the enemy. The outsider. To an extent, all the minorities have been called outsiders. Christians and Sikhs have suffered less because they are regarded as harmless innocents because they are smaller communities. But Muslims are different. After all, we are the third largest Muslim country in the world. And the RSS has defined the Muslim as an enemy from a hundred years back. They have always had this agenda of getting rid of Muslims and they are doing it pretty fast now, in every way they can. One has to remember two things. Indira Gandhi was a democrat gone wrong, gone very wrong. Modi and the RSS lot are fascists. There is no comparison between the two at all. The sycophancy of the media during the Emergency was criticised by many, exemplified by Advani’s famous comment of “how journalists crawled when they were asked only to bend”. Today there is similar sycophancy even though there is no censorship. How do you compare the media then and now? In every country there are the chamchas. The ones who will serve whoever in power. Who will keep their own position safe. And we are no exception. The Indian media caved in during the Emergency. Of course they were not allowed to express themselves. Similar things have happened, with some honourable exceptions, even today. Sections of the print media, then and today, did not cave in. I have been associated with The Indian Express for a long time. And it stood out very bravely at that time. So it is happening today. We have papers like The Tribune and The Indian Express that stand out. I am of course talking of the English media but there are similar cases in the language papers. So you cannot say everybody has caved in. There is also a huge silent majority that has not caved in, which at the moment is a bit discreet because they know they may be put in jail for sedition. But that does not mean they have caved in. A growing majority of people have started resenting what has been happening and that there is no justice system. Even now the judicial system is worrying. Because, for instance, Justice Loya is believed to have died in mysterious circumstances. And so we cannot even rely on the justice system to defend us. And there is a great deal of resentment that this is happening. 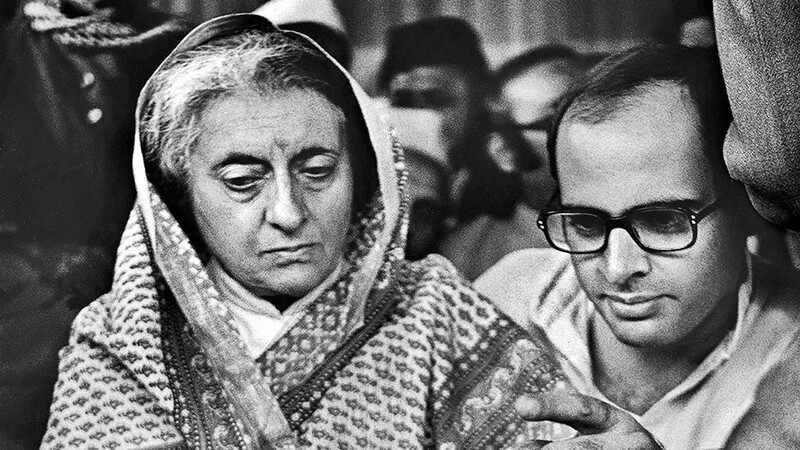 The Emergency regime looked so powerful and intimidating that many did not believe that it could be ousted, even after Indira Gandhi announced elections, and the results surprised many. The Modi regime too looks invincible today. Do you think the latent public anger that threw out the Congress in 1977 could do the same to the current regime? There has been far more grit. First of all, there have been uprisings from different communities. Writers in the hundreds, historians, scientists; there are protests everywhere. And the major uprising has been of Dalits. In fact, in Rajasthan, where they used to pick up cow carcasses, it has been a highly organised uprising. Of course [there have been uprisings] in the universities, started by Rohit Vemula’s suicide, and then Kanhaiya Kumar leading what I would call a revolution in the universities. There is no question that things are taking a turn. So the signs are all there, provided the government doesn’t meddle with the voting machines, which they did to a big extent in the Uttar Pradesh elections because they found it absolutely necessary to win there. If that does not happen, there is no question that they will either win with a hugely reduced majority or actually lose. Were you surprised at the Emergency regime being so comprehensively defeated in the 1977 elections and Mrs Gandhi herself losing her own seat? No, I was not surprised. I had been studying and working on theBihar situation. JP [Jayaprakash Narayan] had asked me to write a paper and invited me to come to Bihar to make my own assessment. So when the elections were announced I had every hope that there would be a change because I had been working with JP and with what was called the Bihar movement at that time. Of course it was wonderful to see the Congress come down in a very big way. It was not an ordinary defeat because Mrs Gandhi herself lost. So it was a lesson and again I have to say that I may have been in a minority of one but I had never given up on Indians and the fact that the Nehru government gave adult suffrage to our country. It was the only time in history that democracy had been placed before development and Nehru and Gandhi had put their faith in the common man. And the common man has not disappointed us. He or she, they have risen to the occasion. And they have not tolerated things beyond a point. So I have great hope in this country because of the priorities we established when we got Independence. One was that we were going to be secular. And the other was that we were going to be democratic. And the reason we chose to be a secular democratic country was because we are a deeply religious country. And though this may sound contradictory, it is so. We respected all religions and we wanted to give pride of place to every religion. And that is what India has been based on. No other country has achieved success or lasted as a multi-cultural, multi-religious civilisation. I have great hope that on this foundation we will continue to build once we have ousted the RSS. Ajoy Bose is the co-author of For Reasons of State: Delhi under Emergency, originally published in 1977. The book, cowritten with John Dayal, is being relaunched to mark the 43rd anniversary of the Emergency.